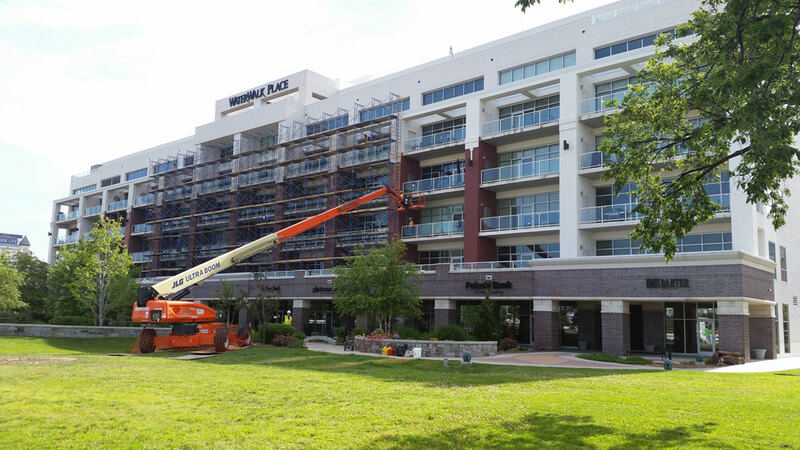 VERTEX was retained on behalf of the General Contractor Defendant to provide cost of repair estimating services to correct several alleged construction defects on The WaterWalk Place Condominiums in Wichita, Kansas. After several iterations of proposed repair scopes and pricing scenarios the Plaintiff’s claim was settled at VERTEX’S estimated cost – with one stipulation…VERTEX must sign a contract to act as the General Contractor to perform the repairs at its estimated price. VERTEX executed the contract and subsequently performed the repairs for the Homeowner’s Association (HOA). At the request of the HOA, VERTEX provided payment and performance bonds and worked closely with the Engineer of Record to ensure proper completion of the work. 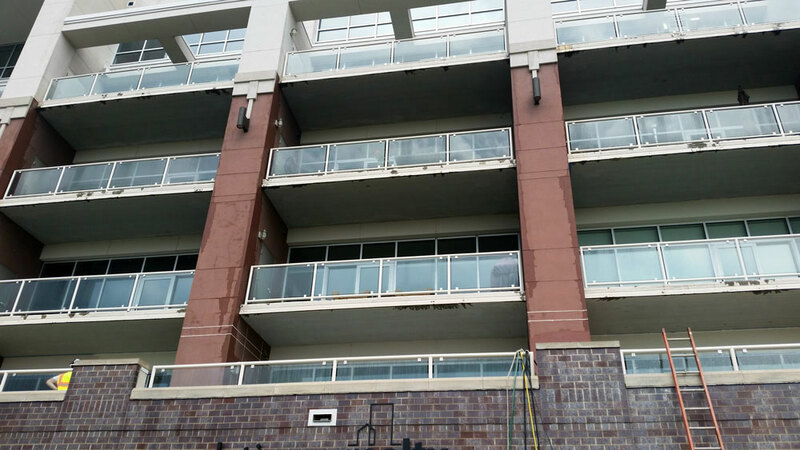 VERTEX’s scope included changing the building’s exterior enclosure from a water-resistive system to a water barrier system which included: silicone wet seals on all windows; polyurethane seals at all control joints and dissimilar surfaces; elastomeric coating on all hard-coat stucco surfaces; re-sloping all exposed decks on the second level to establish proper drainage and re-coating the of the same deck surface. Our work as an expert witnesses on construction defect matters gives VERTEX additional insight into not only the underlying causation for construction defects, but also the proper means and methods to correct those issue. 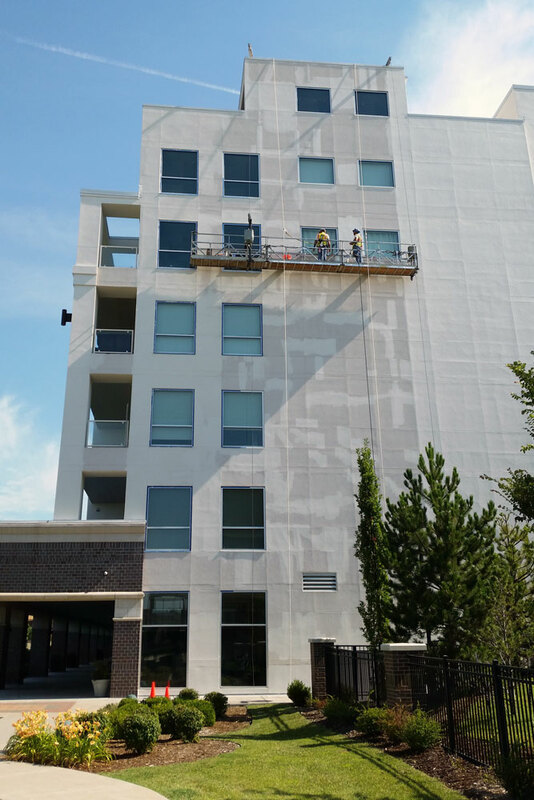 VERTEX was able to complete this project with a savings of nearly 30% compared to the Plaintiff’s cost of repair estimate. Construction defect cases are often lump sum settlements and after attorney’s fees, court costs, and engineering, there is oftentimes not enough money to complete all the needed work. Whether you have settled for more or less, the value that VERTEX provides allows its clients to get more repair for their money.